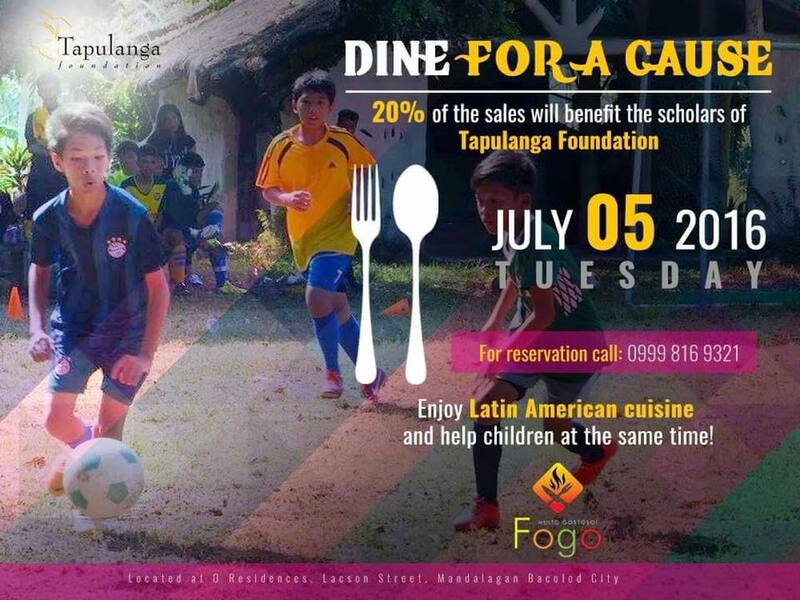 Last July 5, Tapulanga Foundation had its first restaurant-engaging fundraising event at Fogo in Bacolod City. Fogo donated 20% of their food sales for that day to the foundation. 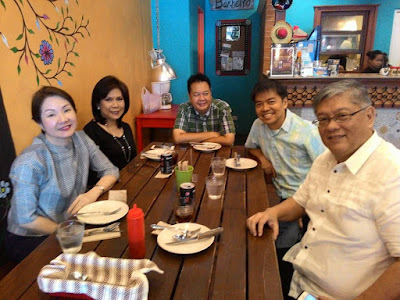 The funds raised will benefit the scholars who are joining after school programs of St. Francis of Assisi School of Silay City like sports (Football, Volleyball and Taekwondo) and Boy Scouts. To Fogo, thank you so much for partnering with Tapulanga Foundation for this event. 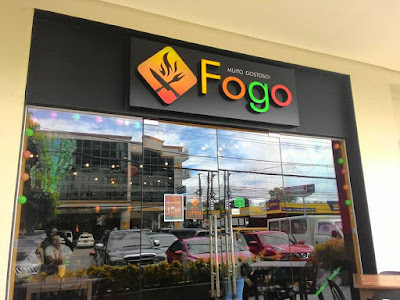 And a bigger THANK YOU to all the family and friends who supported the event by dining at Fogo!